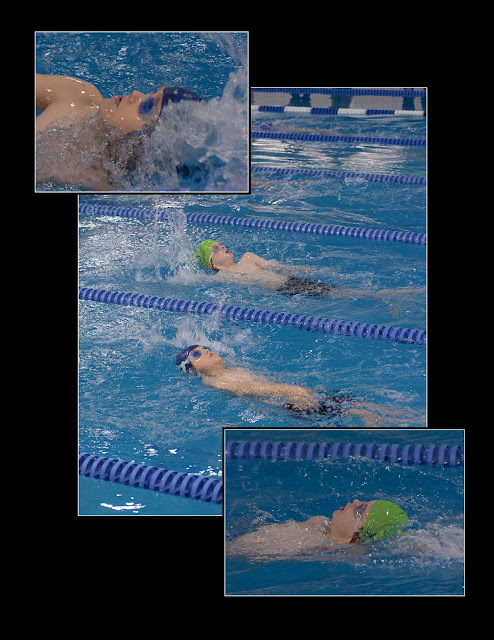 It was Aiden's first swim meet and Owen's second this past weekend. These shots (taken by my husband) are of them doing their backstroke race. Owen is in the blue cap and Aiden is in the green. This was the only race they did side by side the whole weekend - usually they raced in different groups. They both did great and we are so proud of them!